E-type Jaguar | Sommerberg Hotel Bad Wildbad, Herzlich Willkommen im Panoramahotel über dem Enztal! A rare sight anywhere these days but here seen on Sommerberg today. 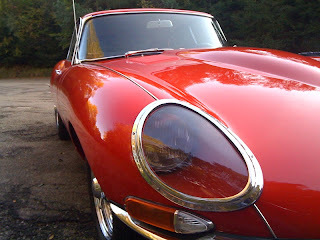 A fine example of the classic 1960s coupe E-type Jaguar.